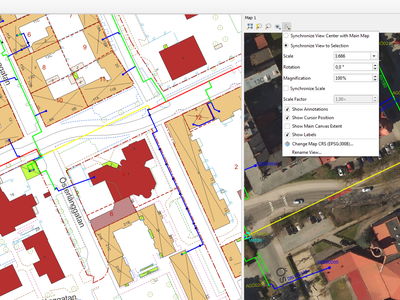 The Simplify Features map tool has been renamed to „Simplify/Smooth Features“, and now supports interactive smoothing of features. 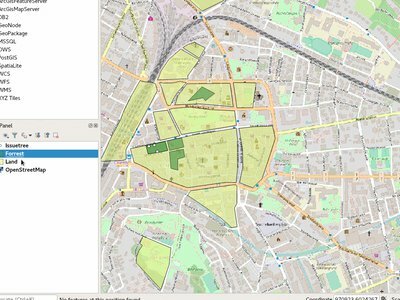 This allows different techniques to be used for simplification in the interactive simplify map tool, including the more cartographically pleasing „Visvalingam“ simplification algorithm. 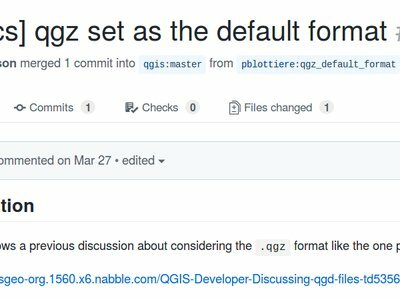 QGIS 3.2 allows evaluation of simple expressions (well, actually ANY QGIS expression… so you could use aggregates and the like if you really wanted!) 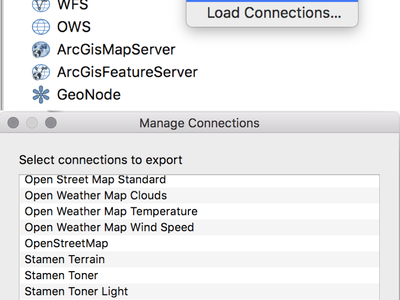 by entering „= “ followed by an expression into the locator bar. 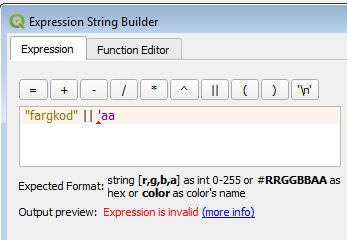 If a valid expression is entered, users are given an option to copy the result to the clipboard. E.g. entering „= 10/3“ shows a locator entry „Copy ‚3.3333333‘ to clipboard“. 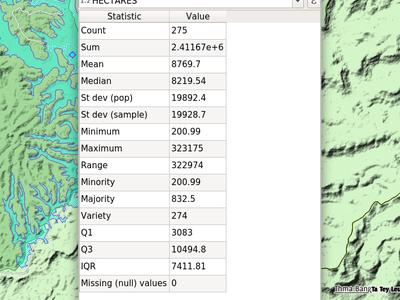 The new filter presents itself with a prefix of „b“ and with tr( „Spatial bookmarks“ ) as displayname. 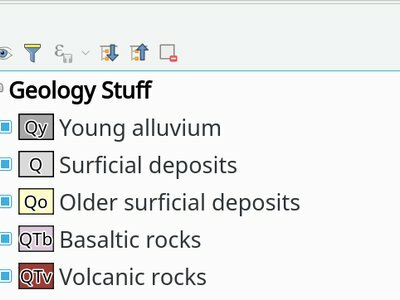 QGIS 3.2 now follows the standard UI approach of indicating that the current project has unsaved changes by adding a „*“ prefix to the project name in the application title bar. 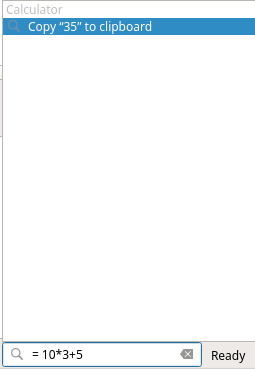 This makes it easy to see if you have unsaved changes at a single glance! 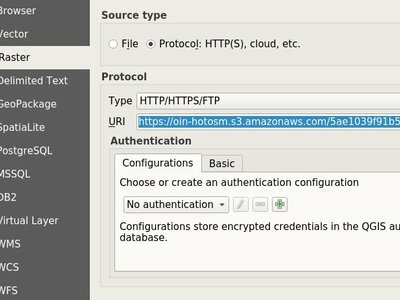 The new filter presents itself with a prefix of „s“ and with tr( „Settings“ ) as displayname. 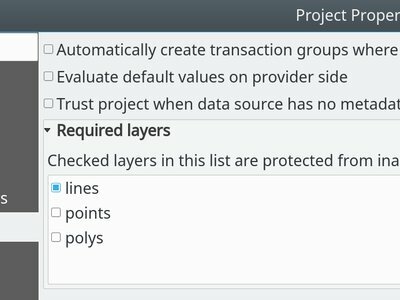 Embedded project layers and groups are now flagged by a handy „embedded“ indicator, making it immediately clear to users which layers and groups have been embedded inside a project. 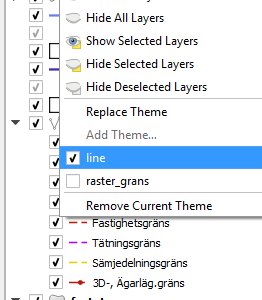 The „random“ colors assigned to new map layers are no longer „random“ but instead randomly selected from a preset palette of „visually pleasing“ colors. Say goodbye to ugly baby puke green layers! 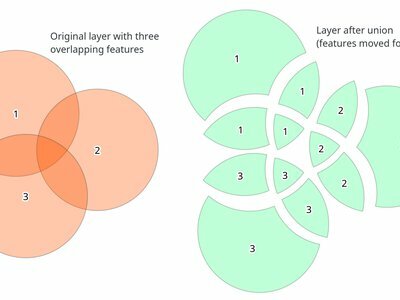 When an attribute table is set to a „Layer features“ source, this new feature allows the underlying vector layer from which to source features to be data defined. 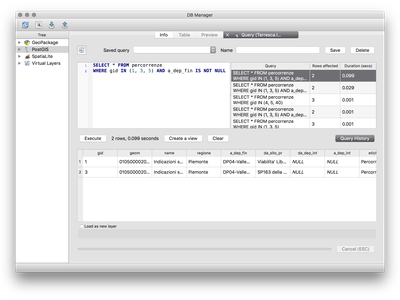 The ‚Join by attribute table‘ algorithm has been upgraded to support one-to-many joins (i.e. 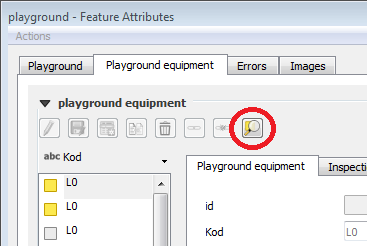 create separate features for each matching feature) as well as an option to discard records which could not be joined. Additionally, an optional prefix for joined fields can now be specified. 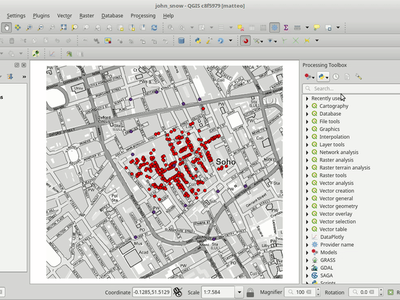 QGIS 3.2 extends the work begun in 3.0 to allow „dynamic“ parameters for selected Processing algorithms. 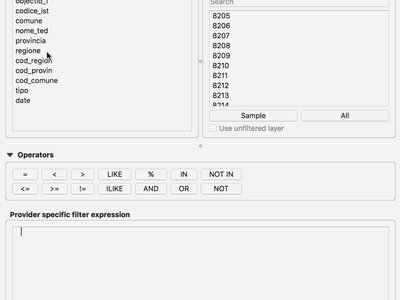 Dynamic parameters allow users to use expressions or field values to specify the value of a parameter while the algorithm executes, so e.g. 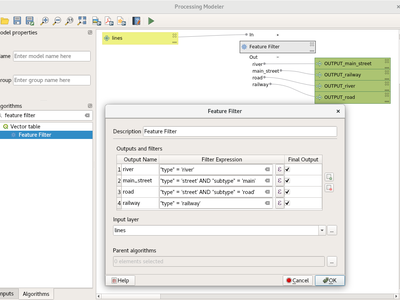 the buffer size can be dynamically calculated for each individual feature buffered. This new algorithm computes multi-ring (‚donuts‘) buffer for all the features in an input layer, using a fixed or dynamic distance and rings number. „Segmentize by maximum distance“: The segmentization is performed by specifying the maximum allowed offset distance between the original curve and the segmentized representation. 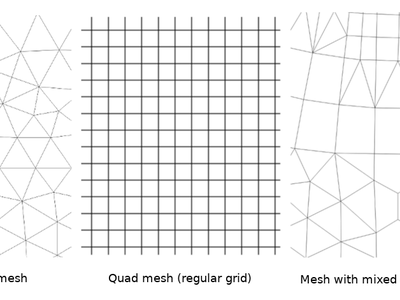 „Segmentize by maximum angle“: The segmentization is performed by specifying the maximum allowed radius angle between vertices on the straightened geometry (e.g the angle of the arc created from the original arc center to consective output vertices on the linearized geometry). The „Centroid“ and „Point on surface“ algorithms have a new option to create points for every individual part of input geometries. 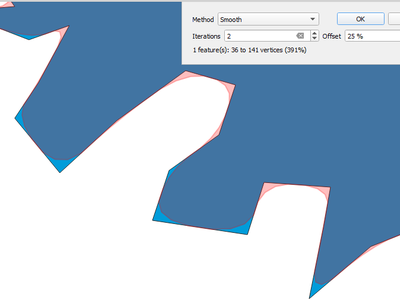 The „Add Geometry Attributes“ algorithm now calculates line sinuosity and straight distance for line layers. 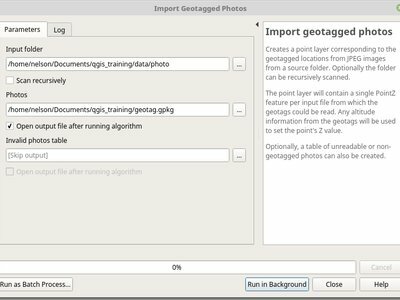 In QGIS 3.2 a new „Import geotagged photos“ algorithm has been added to Processing. 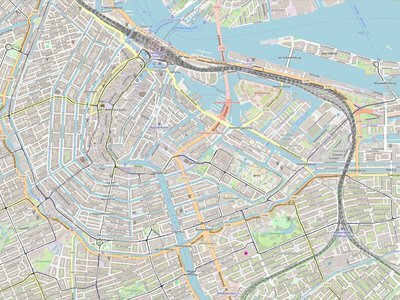 It allows selection of a folder which it will scan for jpg files which have been geotagged and creates a PointZ layer with the result, with attributes for photo path, altitude, direction and timestamp. 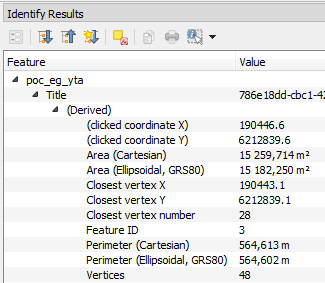 When an algorithm uses a „distance“ type parameter, the units will now be shown next to the parameter. This avoids the confusion when running algorithms which use distances where the unit depends on a layer or CRS parameter - e.g. 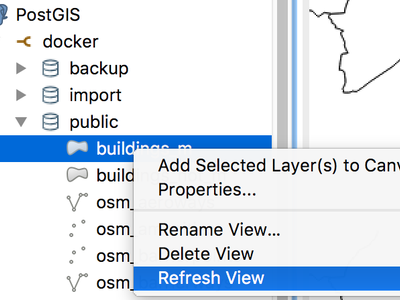 the distance parameter in the buffer algorithm gives the distance in layer units… so now in QGIS 3.2 we show those units directly within the dialog. Hopefully this leads to less user confusion and accidental „1000 degree buffers“! 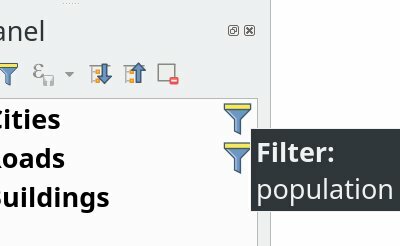 Saving/loading QGIS projects must be explicitly enabled in PostgreSQL connection settings: there is a new option „Allow saving/loading QGIS projects in the database“ which is disabled by default. 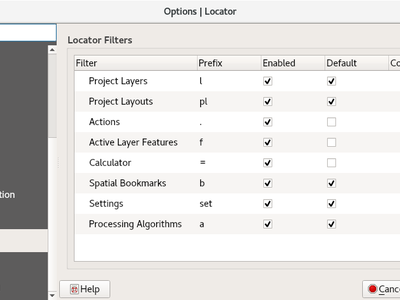 This new feature in QGIS 3.2 allows the project home path (which is used by the browser to create the ‚Project Home‘ item) to be set by users for a project, instead of always matching the location where the project is saved. 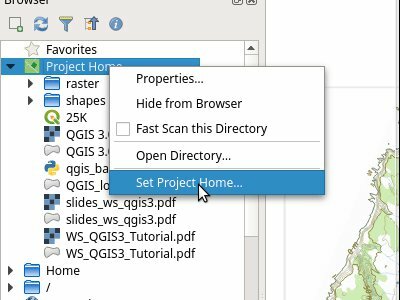 This allows users to set the project home to a folder which contains data and other content, and is especially useful for organisations where QGIS projects are not stored in the root folder of a organisational ‚project‘. 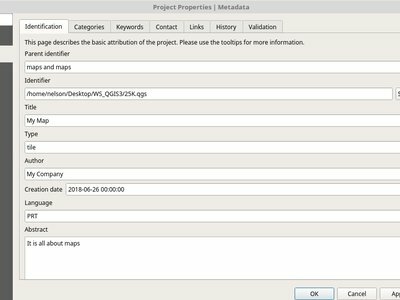 The path can be set through the Project Properties dialog, or by right-clicking on the Project Home browser item and selecting ‚Set Project Home‘. 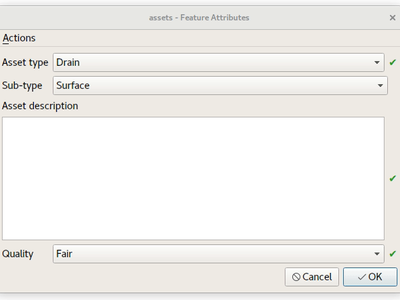 Previously the option existed to restrict the scan to tables which belong to the user, but this option does not support the use case where a connection must access tables from a different user, and the default „scan everything“ setting is too expensive (since it often takes multiple minutes to perform, especially when geometryless tables are shown). 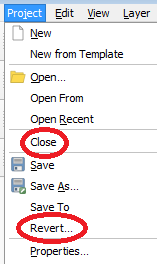 The only downside when using this option is that more graphical memory is used (double amount of vertex data). 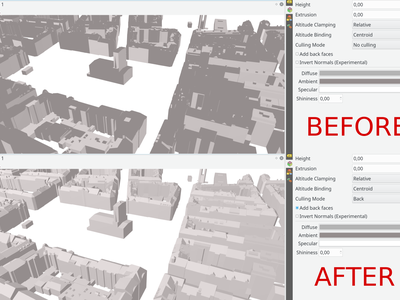 Make sure to set culling mode to „Back“ when using this option, otherwise there would be no visible difference as the scene would still render polygons with incorrect shading.